My personal journey with SAP Business One started in Autumn 1996, a journey that ended 21 years later with my farewell party at the SAP Headquarter in Walldorf, Germany. Over the years, I have been involved in many aspects of SAP Business One – covering sales and sales training, marketing, internal processes as well as product related topics, on a local, regional and global level, and I’m now in the early retirement phase. My manager, Luis Murguia, Senior Vice President and General Manager of Business One, suggested that I write the history of SAP Business One in a blog that will capture the milestones of the story – a suggestion that I undertook and I hope you’ve enjoyed. 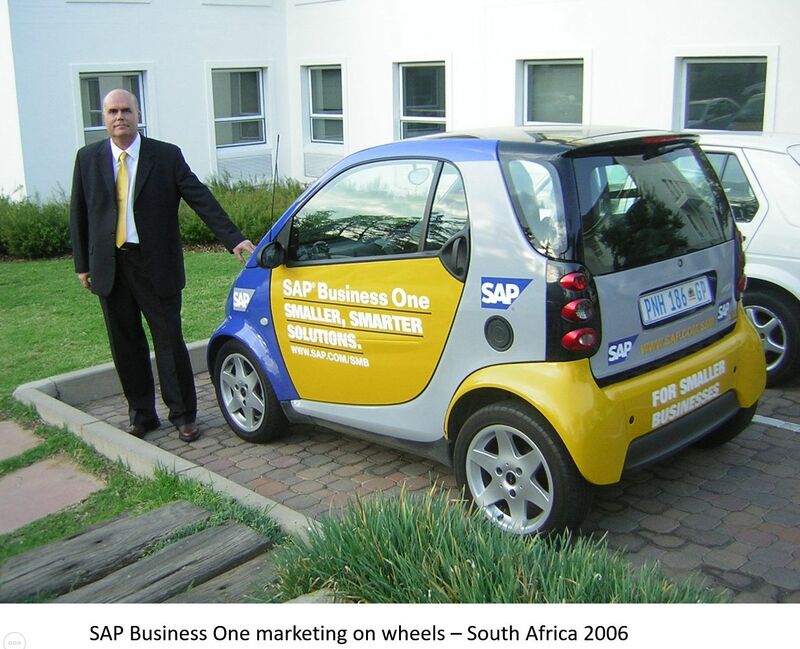 When I started telling the story of SAP Business One, I expected it to draw the attention of a handful of people who had some involvement in the business over the years. To my pleasant surprise, its reception has been much wider and enthusiastic – and I want to thank all of you who’ve been reading this account. Many people shared their stories, special anecdotes, pictures and untold stories and it will be hard to mention all without missing some, but there are three people that deserve special thanks. Reuven Agassi – The “Father” of SAP Business One, who had the vision and the determination to realize the idea and create a product that was ahead of its time and spent many hours to recall the memories of the first days. Luis Murguia – Who came with the idea to capture the journey and encouraged me write the history of SAP Business One. And my friend, Phil Hofmann – Head of Communications, Middle and East Europe at SAP, who guided me in how to structure and chronicle the story to create a compelling blog, also helping to edit each instalment. An engineer by training, I have always been very curious to learn about the men and women who have designed all these wonders of the world: The Golden Gate Bridge, the New York Subway system, the original Jeep, and so many things which, despite the passage of time, continue working. Who were they? What drove them? Were they early risers ? What were their hobbies? I believe that they are the unsung heroes of humanity. They left an amazing legacy touching millions of peoples’ lives, and very few people know their names. This is why I am enjoying so much Ilan Tal’s narrative of the Business One first 20 years. Today we are a thriving business winning over 1,000 new customers every 3 months. We consistently grow twice as fast as SAP, and twice as fast the SMB ERP industry. Over a million people go to work and get their job done, thanks to SAP Business One. Ilan has allowed me to get to know those unsung heroes, who with wit and hard work built Business One and created the foundation of an amazing and lasting business. As Ilan’s saga comes to the present time, the question that many may be asking is: What is next for Business One? I believe that the best is yet to come. The investment made to have Business One run on SAP HANA will turn it into the Digital Core platform for the modern SMB. Our developers have created the HANA Service Layer, a powerful development environment to extend Business One. As we enter the digital economy, more and more the HANA Service Layer is the bridge to exciting newer technologies. It is the easiest way to create custom HTML5 mobile apps, extending the Business One capabilities for the user on the go. Multiple eCommerce platforms have been built both tightly and loosely connected to Business One. Recently, we have introduced the integration with Square and Shopify, innovative eRetail platforms in North America. The Internet of Things (IoT) has arrived in the Business One world. At the Biz.One conference we showcased a reinvented retail store where sensors and devices created a compelling consumer experience. And there’s so much more! Natural language is being deployed into Business One. The first move was to integrate the Amazon Echo with Business One – introducing the ability to ask Alexa for the latest order report, or the list of accounts overdue. Now, we are moving into Machine Learning and Chat Bots. In the future, the Business One user will just ask questions in a natural language, instead of navigating the soon to-be-obsolete menus and pull down menus. All of these technical innovations are going to drive another era of growth for the next 20 years. And what excites me the most, is the opportunity to be part, together with my Business One colleagues and partners, of writing the future chapters of Business One and to build the path along the way. It was my pleasure being a part of this journey for more than 20 years, learning from others and sharing my experience in many sales and product trainings I conducted along the years, and I will continue to spread the word of SAP Business One. Later this year I will bring together all the 12 chapters, adding more content and will publish the history of SAP Business one as a book in Amazon. I will also continue to share stories and ideas in a new blog. You can follow my LinkedIn profile and stay tuned. Join over 2,000 other marketing pros in subscribing to the award-winning our Blog.